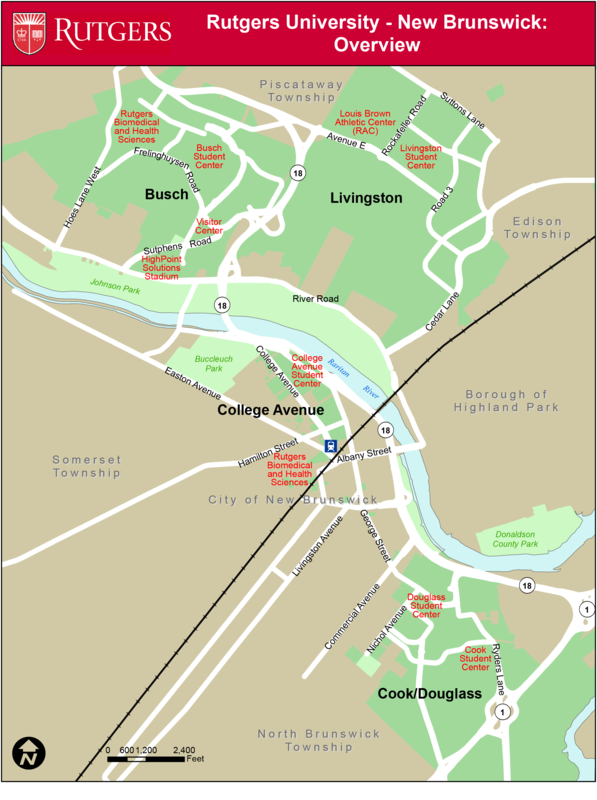 ■ Rutgers University—New Brunswick is made up of five smaller campus communities that straddle the Raritan River in New Brunswick, Piscataway, and surrounding municipalities. Each of the five has a distinctive character, but all are equally accessible and completely available to Rutgers students. A short ride on the free bus service connects them.